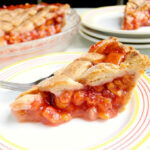 Despite the old saying “easy as pie” many people are reluctant to make their own pie crust. Even people who do lots of baking often buy pre-made dough. I have no idea if packaged pie dough is any good because I’ve honestly never used it. 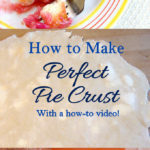 But I am sure that homemade Perfect Pie Crust is not really difficult. It just takes a little finesse and, most of all, patience. Choosing a favorite food is like choosing a favorite child. It’s impossible. My favorite food is pizza, or roast chicken, or a summer tomato sandwich, or Burmese tea leaf salad (a new obsession! ), or etc., etc., depending on my mood and appetite. But I can say that my favorite dessert is pie. 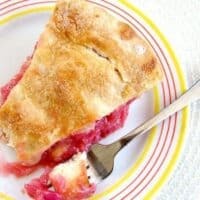 Bake a sweet filling into a crust and I’m a happy camper. So what’s the secret to a great pie? Well, it’s the crust, of course. 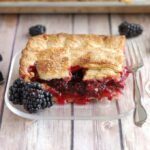 I had been making pie dough for years and I was happy with the results. I used all butter or a mixture of butter and shortening until I discovered leaf lard. 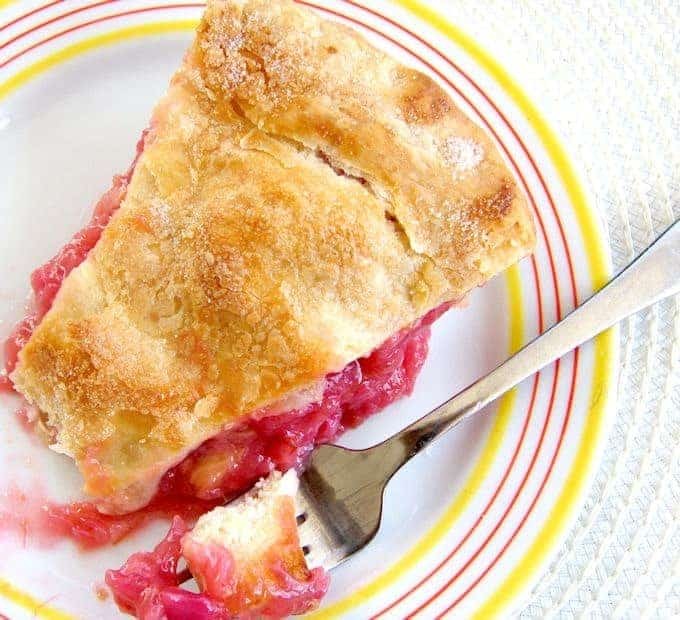 Leaf lard is the highest grade lard and makes the nicest pie crust. I have a good friend who gets lard from her cousin’s butcher shop so I always keep a container in the freezer. You probably won’t find it in the regular grocery store, but if you have a butcher shop or farmer’s market in your area you might find it there. You can buy it on-line. I think it’s worth seeking out leaf lard, but if you can’t find it you can substitute vegetable shortening or use all butter. If you’re vegetarian or vegan you can use all vegetable shortening. A Perfect Pie Crust is a thing of beauty. Because there are so few ingredients in a basic pie dough, how you mix those ingredients is crucial to achieve just the right texture. Whichever mix of fats you use, add them in two stages to get a crust that is both tender and flaky. First, mix the lard or shortening into the flour. 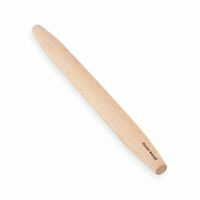 This coats the flour proteins and prevents the gluten from developing and making the crust tough. (You can learn all about how the protein in flour works in the Flour class . After the lard/shortening is mixed in add the cold butter. When I add the butter I kind of just toss the slices through the flour. They’ll break down just a little bit but will mostly stay intact. Those flakes of butter melt in the oven forming spaces in the dough. The spaces help form layers as the dough bakes, giving the crust a flaky texture. Those bits of butter in the dough will form flakes as the crust bakes. Make sure to mix in the water just until the dough comes together. Don’t worry if it looks a little shaggy and there are some dry bits. 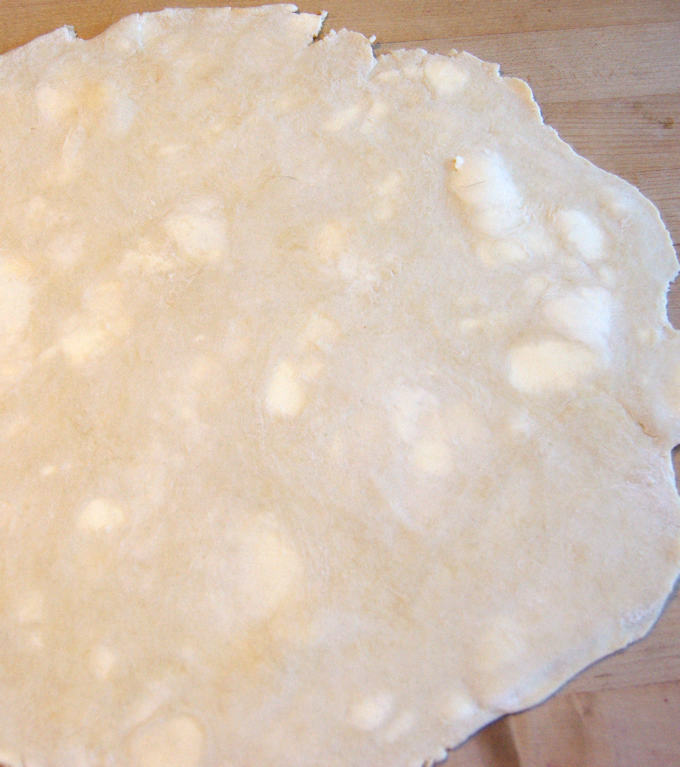 Gather up the dry bits and wrap them up with the dough. The water will redistribute while the dough rests in the refrigerator. Speaking of the dough resting, this is one of the most important steps in making a good pie dough. I can’t stress enough that you’ve got to have patience! You must be patient and let the dough rest before you roll it and you must be patient and let the dough rest after you roll it. There is no way around it. I’ve been a baker my whole life, but I don’t think I became a good baker until I learned to have patience. There are some things that just can’t be rushed. 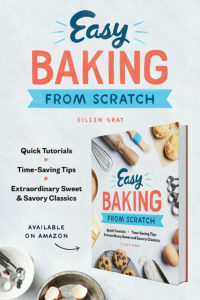 If you learn to let that dough rest, or let that bread dough rise slowly and fully, or let the butter come to room temperature before making cookies, you’ll transform the way you bake. Relax, have patience and enjoy the process. 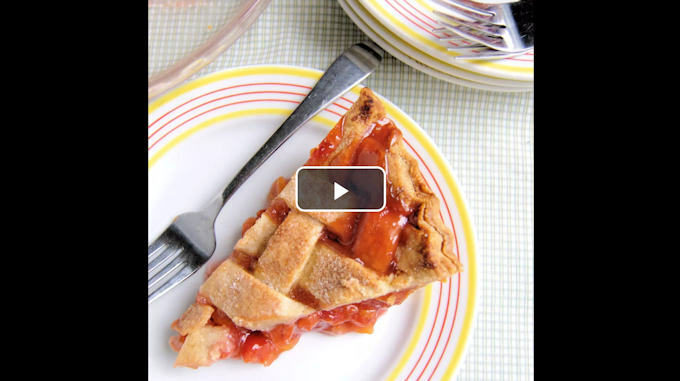 Watch the recipe video to see how to make perfect pie crust. A Perfect Pie Crust is a thing of beauty. Because there are so few ingredients in a basic pie dough, how you mix those ingredients is crucial to achieve just the right texture. Add the fats in two stages to get a tender and flaky pie crust. Combine the all purpose and cake flour with the salt and sugar. Whisk together to mix the ingredients evenly. Using your fingers, cut the lard or shortening into the flour mixture until it resembles coarse corn meal. Using your fingers, toss the butter into the flour mixture. Allow the slices of butter to break up into slightly smaller pieces into the flour. Work quickly so the butter doesn't get warm. Don't break the butter down completely. There should be some large flakes remaining. Mix the water and the cider vinegar. Pour the water onto the flour all at once and toss to combine. Gently press the dough just until it comes together. It will look a little dry in spots. The water will redistribute in the dough as it rests. This recipe uses a mixture of all purpose and cake flour to mimic pastry flour. 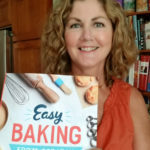 All purpose flour will give the dough enough structure so it can hold the flaky texture and a small proportion of cake flour will help keep it tender. If you have pastry flour you can use that in place of the flour mixture. I’m learning so many great tips here, thanks so much. That pie looks to die for. Thanks, pie is my absolute favorite dessert! 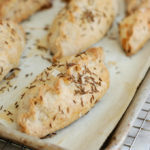 I am so pleased with this recipe.. 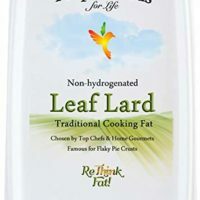 I found leaf lard on Amazon. And replaced 3 tablespoons of the cold water with 3 tablespoons of vodka. 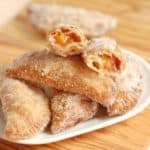 I made a peach pie with the traditional top crust and an apple pie with a top crust that was covered with an assortment of leaves cut from the pastry dough,. It was so scrumptious and very pretty to look at. Can it set overnight in the fridge? I don’t have time to do itt all in one night. Absolutely. 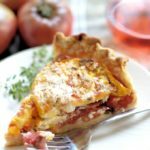 It can stay in the fridge for several days or in the freezer for weeks.